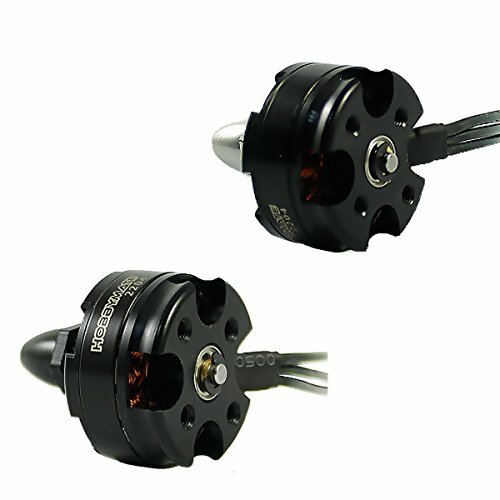 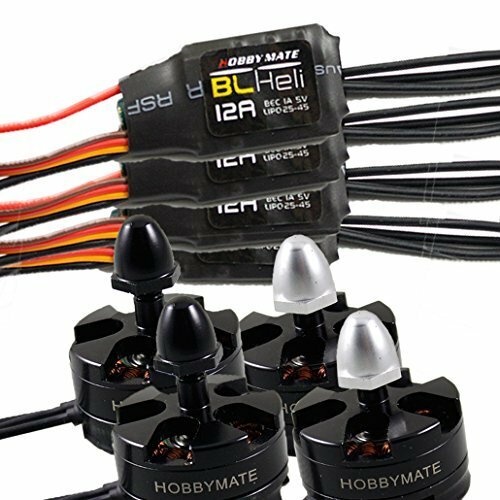 HOBBYMATE 15A ESC is an incredibly compact, light-weight, high performance speed controller for your racing multi-rotor. 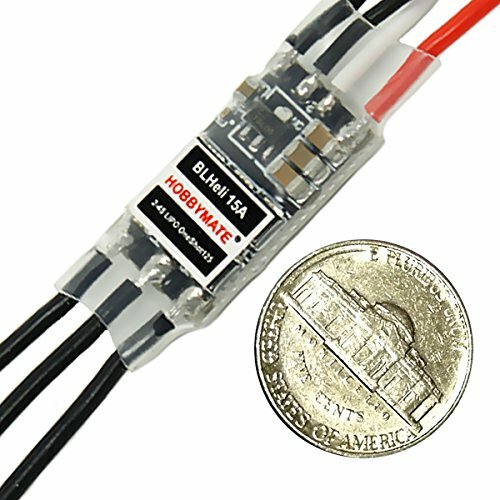 Pre-flashed with BLheli and all set to use with Oneshot (aka oneshot125PWMsync)mode through compatible flight controllers running Cleanflight or comparable. 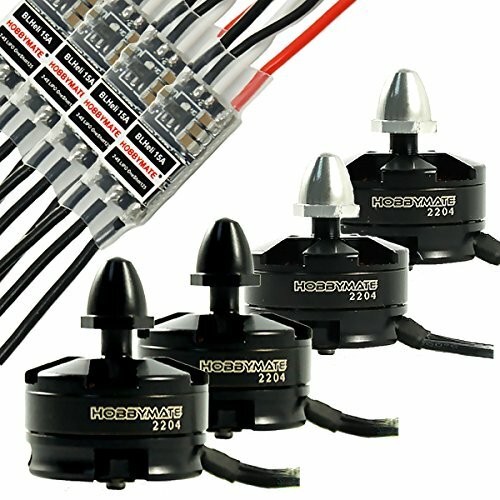 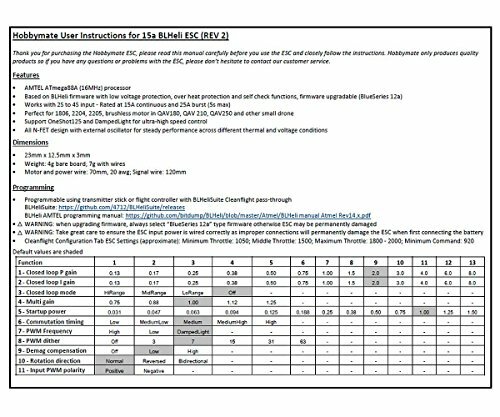 The ESCs do not have a BEC, you will need to provide 5v power to your flight controller with a UBEC or stepdown voltage regulator.